While some will continue to sit in traffic gridlock on the Gardiner Expressway come the new year, others will simply glide underneath it. 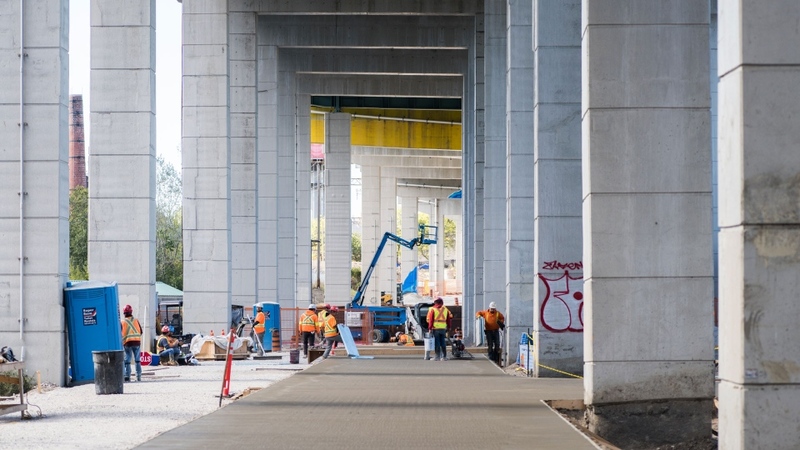 This winter, 50 feet below the gridlock and surrounded by soaring columns of concrete, a skating trail is set to open as part of The Bentway development (formerly Project under the Gardiner). This past weekend, concrete was poured to form the base of the lazy figure-eight trail, sparking excited reaction on social media from those who caught a peak. 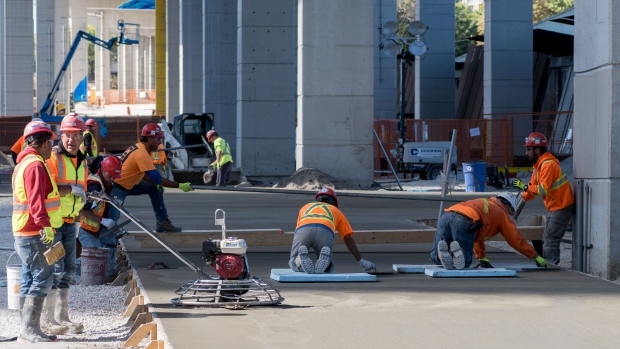 “We’re very hopeful subject to weather, subject to construction opportunities along the way, to be opening the rink by the end of this year or certainly by the first week of January,” Julian Sleath, CEO of The Bentway, told CP24. When it opens, the 250-metre track will snake around the columns under the Gardiner which form giant bays or rooms underneath the highway. Talks are in the works to add skate rentals, food and beverage vendors and possibly to have skating lessons at the site as well. 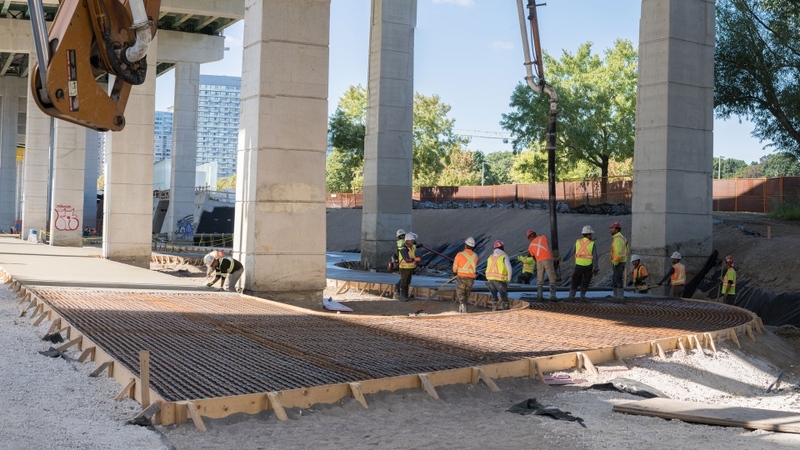 Remediation work had previously been completed on the section of the Gardiner where The Bentway is located, allowing the space to be further developed starting this past March. “The first phase of that work was making extensive preparatory upgrades to the infrastructure in the area, including exciting things like new storm drains and grid separators,” Sleath joked. Electrical conduits and fresh water access have also been added. However Sleath said that initial work is now allowing an exciting reshaping of the space to begin. 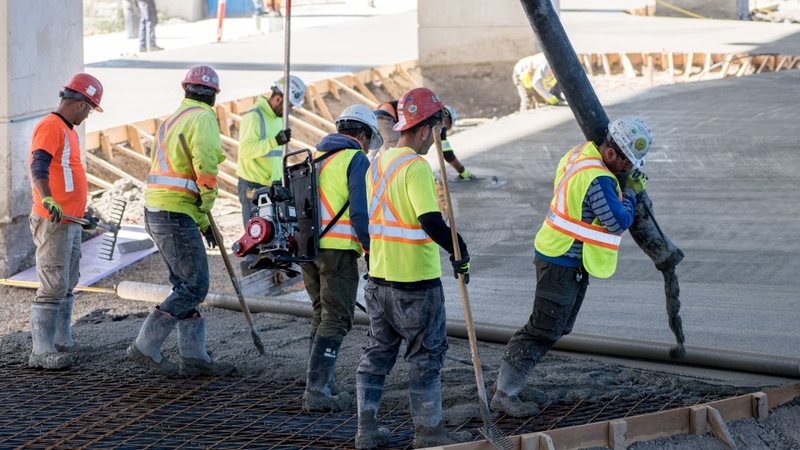 “Buried underneath (the concrete) is a network of pipework that will carry a chilled mixture to assist with the setting of good quality ice during the skating season itself,” he said. That chilled concrete pad should assist in maintaining the ice quality. Some of the first skaters to test the ice could be area residents, with a community skate planned as a thank you to neighbours who have put up with construction noise. 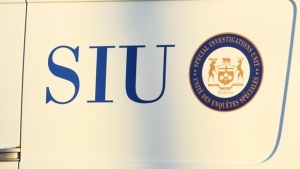 Sleath said that if all goes well in the next few years, the skating trail could eventually extend all the way to Bathurst Street.